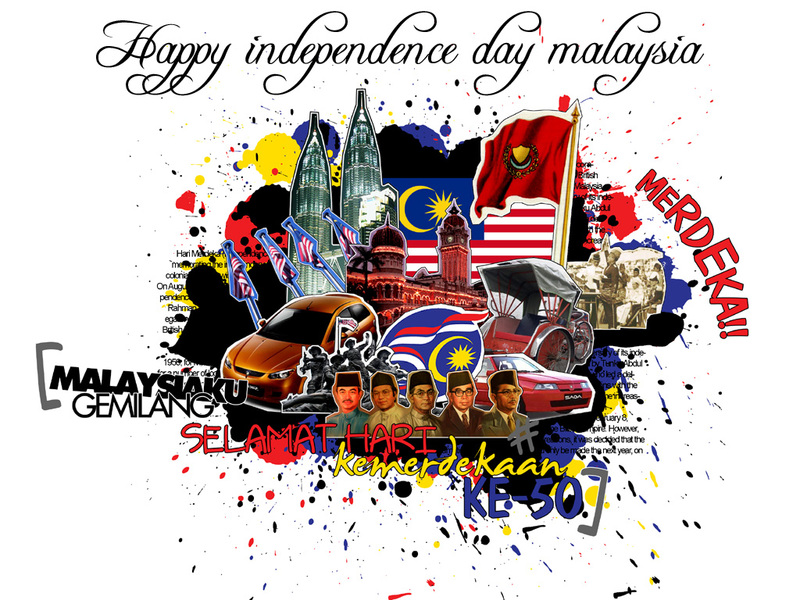 Malaysian Independence Day or Hari Merdeka is celebrated with much gusto all over the country on August 31st each year. This day commemorates the culmination of Malaysian struggle for independence from the British. An effort which was spear-headed by a political leader from Kedah, Tunku Abdul Rahman who went on to become the Chief Minister of the Federation of Malaya in 1955 and then the country’s first prime minister after Malaysia gained its independence from the British on August 31st 1957. Malaysian Independence day differs from Malaysia Day which is celebrated on 16th September each year and marks the creation of the Federation of Malaysia, an entity which was made up of Peninsular Malaysia, Sabah, Sarawak and Singapore. This Federation of Malaysia was formed in 1963 but Singapore broke away from the federation when it gained its independence on 9th August on 1965. 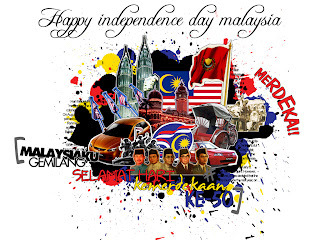 Malaysian Independence day symbolizes much national pride for it highlights the Malaysian freedom struggle. A process started by Tunku Abdul Rahman and other political leaders in the early 1950’s. After much negotiation with the British colonial powers in London, the British granted Malaysia freedom in 1956, but the official declaration of independence was made at the midnight hour on August 30th, 1957 at the Padang of the Royal Selangor Club. At the stroke of midnight on that night, the Union Jack was lowered and the new Malaysian flag was raised and Malaysia emerged as a free nation to the strains of the national anthem ‘Negaraku’. A giant crowd had assembled to witness the spectacle and they chanted the term ‘Merdeka’(meaning ‘freedom’,Tunku’s rallying cry during the freedom process) seven times. Tunku Abdul Rahman then proceeded to give a speech calling the ceremony "the greatest moment in the life of the Malayan people”. Not unlike the speech given by Pandit Jawarhlal Nehru in the wake of India’s Independence, a few years prior to this event. The next day, the morning of August 31st, 1957, the celebrations moved on to the newly- built Merdeka stadium located close by. Here in front of a crowd of 20,000 people and several foreign dignitaries including the Duke and Duchess of Gloucester, Tunku Abdul Rahman read out the Proclamation of Independence. In reply, the huge crowd chanted “Merdeka” seven times as the nation’s new flag was raised and the national anthem was sung. This was then followed by a 21 gun salute. A Muslim call to prayer and a Thanksgiving prayer ended the ceremony. Nowadays Hari Merdeka/ Malaysian Independence Day is celebrated with grand parade at Kuala Lumpur’s Dataran Merdeka (Merdeka Square/ Independence square-the former cricketing green of the Royal Selangor Club). Major Malaysian cities have their own celebrations for Hari Merdeka, but the celebrations in Kuala Lumpur are definitely something to talk about as flags and fireworks in the streets abound for the event. However, the celebrations are naturally toned down a peg or two when the event coincides with the Muslim holy fasting month of Ramadan. If you happen to be in Kuala Lumpur during Hari Merdeka, do make sure you take out some time from your busy sight-seeing and shopping schedule to witness this grand celebration of Malaysia’s national pride.